In the wake of the Human Genome Project, two methods to experimentally change gene expression and interrogate gene function, RNA interference (RNAi) and CRISPR-Cas, have emerged at the fore-front of scientific discovery. While initially RNAi dominated the research-based applications, CRISPR-Cas-based approaches have witnessed a remarkable growth in recent years. The two strategies present very specific advantages and limitations, and they complement each other for many applications. Each of them individually promises to fill specific niches in biomedical research and drug discovery. “I see a lot of opportunity for the use of RNAi technologies to treat patients with a variety of diseases,” observes Phillip A. Sharp, Ph.D., professor of biology at MIT and corecipient of the 1993 Nobel Prize in Physiology or Medicine. In mid-2018, the FDA approved the first RNAi therapeutic for the treatment of hereditary transthyretin amyloidosis, a progressive polyneuropathy. “This provides increasing confidence that introducing RNA into cells, and taking advantage of a cellular mechanism that is activated with small RNAs designed on genomic information directly, can be therapeutically beneficial,” observes Dr. Sharp. As a research tool to modulate intracellular protein levels, RNAi presents distinct advantages over other strategies that deliver exogenous material into cells. One of these is that RNA itself is not immunogenic to the same extent as proteins. At the same time, RNAi presents specific challenges that are distinct from the ones encountered with other genome engineering approaches. “We know of three general types of off-target activity, and this is something that has been known for a decade,” says Dr. Sharp. Activation of the innate immune response is one of these. “This seems to be manageable with the appropriate selection of RNA sequences and the modification of the siRNA that is being used,” adds Dr. Sharp. Another type of off-target effect stems from the interactions that microRNAs (miRNAs) have with multiple different messenger RNA (mRNA) molecules. The third complication is that when a selective interfering RNA (siRNA) is selected, its seed region in particular may overlap with an RNA-binding protein (RBP) binding site. As a result, the RBP could potentially compete for that site, or the RNA message activity could be modulated by excluding the binding of that protein. In a recent study, Dr. Sharp and colleagues examined published microarray datasets and performed large-scale RNAi lethality screens to interrogate the crosstalk between RBPs and seed sequences in siRNA and miRNA, their impact on RNAi, and the implications for interpreting RNAi off-target phenotypes. “We came on this through the analysis of a genetic disease in a few patients,” says Dr. Sharp. In this condition, a mutation in a conserved miRNA associated with a super-enhancer, leading to a human skeletal disorder, created an overlap between a highly expressed RNA and the binding motif of an RBP. As a result, the mutant miRNA competed with the RBP and perturbed its cellular activity. When introduced in mice, the equivalent mutation led to a gain-of-function phenotype. “Based on these observations, we started thinking about the possible interaction between RNA-binding proteins and siRNAs,” recalls Dr. Sharp. The findings in Dr. Sharp’s lab support a model that was called “crosstalk with endogenous RBPs,” in which siRNA and miRNAs with seed sequences that overlap RBP-binding motifs could perturb the activity of RBPs. This model, which unveils a new layer in the complexity of miRNA regulation, has several implications for the design and interpretation of RNAi and functional genomics studies, including the potential to avoid off-target effects by not using miRNAs or shRNAs (small hairpin RNAs) with seeds that overlap with RBP-binding motifs. “We are using a nanotechnology-based platform to stably and robustly deliver siRNA or miRNA oligonucleotides into intracranial brain tumors,” says Alexander H. Stegh, Ph.D., associate professor in the department of neurology at Northwestern University. To deliver siRNAs into malignant tumors, investigators in Dr. Stegh’s lab, in collaboration with Chad Mirkin, Ph.D., director of the International Institute for Nanotechnology and the George B. Rathmann Professor of Chemistry and professor of chemical and biological engineering, biomedical engineering, materials science and engineering, and medicine at Northwestern University, developed spherical nucleic acids (SNAs) in which a gold nanoparticle core is densely functionalized with a shell of radially oriented oligonucleotides. SNAs penetrated cell lines in vitro, and in vivo, they crossed the blood-brain barrier after systemic delivery in animals, triggering robust downregulation of their target genes and decreasing tumorigenicity. By using these particles, Dr. Stegh and colleagues delivered gene regulatory oligonucleotides systemically into animals that harbored intracranial tumors and showed that they can correct certain genetic defects. When siRNAs targeted brain cancer oncogenes, their expression was downregulated, leading to enhanced cell death in glioma cells both in vitro and in vivo. “Down the line, the idea is to use this strategy in combination with cytotoxic therapy to sensitize tumors to radiation and/or temozolomide,” states Dr. Stegh. 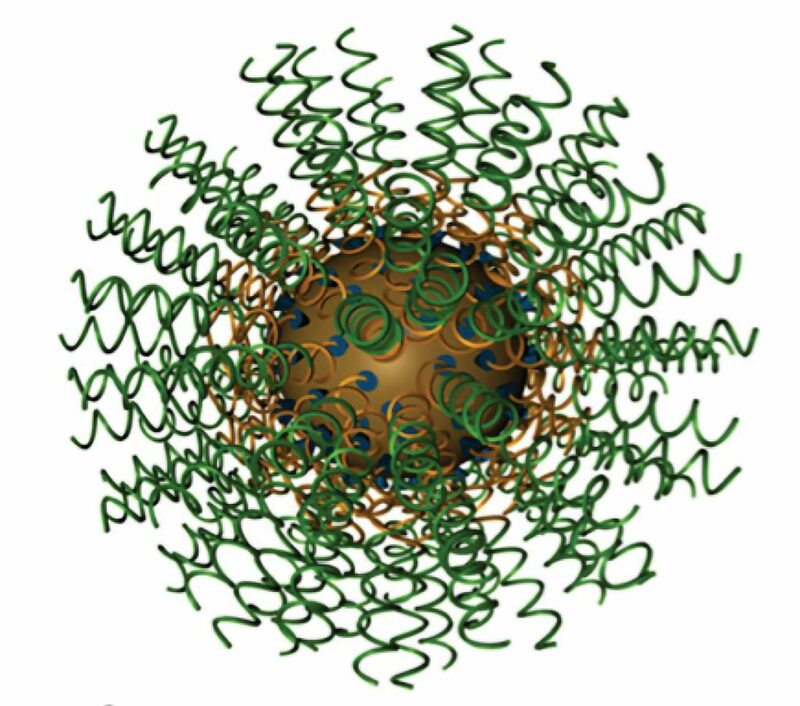 The spherical nucleic acid (SNA), a nanomedicine modality devised by scientists at Northwestern University, has a gold particle at its core and, radiating from the core, a collection of siRNA or miRNA oligonucleotides. One SNA, named NU-0129, showed potential in a mouse model of glioblastoma, crossing the blood-brain barrier, downregulating Bcl2L12 oncogenes, and slowing cancer growth. A safety trial in humans has commenced. As compared to conventional drug development, the nanotechnology field has seen relatively limited efforts for particle optimization. “In the next few years, we should aim to have a more robust optimization process in place to ask rational questions, such as how core material, core shape, and size, together with other aspects of SNA surface chemistry, affect the overall activity of the construct,” declares Dr. Stegh. Another challenge stems from the need to develop strategies to more robustly and specifically deliver siRNAs or miRNAs into the tumor. “With our particles, when we administer them systemically, up to 98% are in the liver, spleen, and kidney, and only a small fraction get into the cancer where they should be going,” says Dr. Stegh. RNA-mediated gene silencing mechanisms in crop plants are of interest to researchers at the University of Missouri’s division of plant sciences. For example, the researchers have deployed siRNAs to silence genes in the soybean genome that are responsible for producing linolenic acid, which lacks oxidative stability and spoils seed oil flavor. 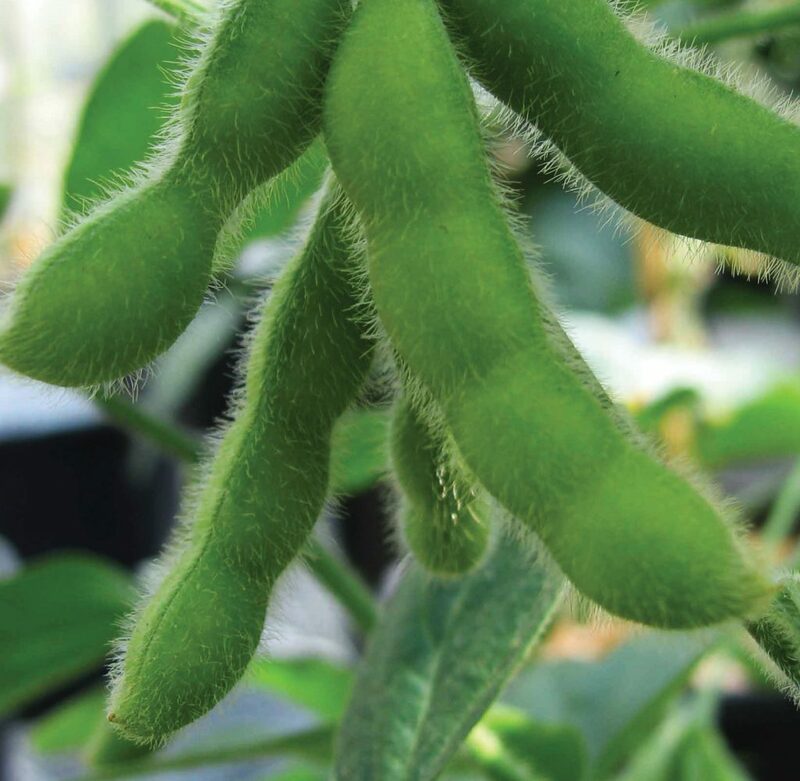 In this work, the researchers found that RNAi helped them cope with the soybean genome’s highly duplicated regions and many gene families. “Genome editing is booming, and this has created some challenges for RNAi, but RNAi still has its value,” says Zhanyuan J. Zhang, Ph.D., research professor in the division of plant sciences at the University of Missouri. One of the research areas Dr. Zhang’s group focuses on is the use of gene silencing and genome editing to improve seed traits. “Silencing a gene conditionally or in a tissue-specific manner is more difficult with genome editing, and this is one application where RNAi still has its merits,” insists Dr. Zhang. In a study to improve hairpin RNA–induced RNAi in soybeans, Dr. Zhang and colleagues silenced the three active members of the FAD3 gene family, and reported that even though a significant degree of silencing was achieved, there were variations in the downregulation of linolenic fatty acid between the different RNAi lines. Building on this work, Dr. Zhang and colleagues found that variations in transgene transcript levels could be explained by different levels of transgene DNA methylation and by the sequence homology between transgene inverted repeats and target transcripts. “RNAi and transcriptomics are faster and cheaper than some other analyses, but less conclusive, so that is a limitation of these technologies,” points out Dr. Zhang. One strategy to improve the value of RNAi is to integrate its use with that of other approaches as part of gene expression studies. “Proteomics and RNAi should be complementary to each other and complementary to metabolomics,” concludes Dr. Zhang. “The big problem with RNAi is that it relies on the endogenous miRNA system within human cells to carry out knockdown,” says Mitchell R. O’Connell, Ph.D., assistant professor in the department of biochemistry and biophysics at University of Rochester Medical Center. While RNAi often leads successfully to RNA knockdown, a critical challenge is that in human cells, where RNAi is mostly mediated by the endogenous miRNA pathways, partial complementarity is sufficient to achieve a knockdown effect. “When an siRNA or shRNA is introduced to knockdown a specific RNA transcript, it is designed to have perfect complementarity to that transcript, but naturally will also have partial complementarity to a number of other genes—and that is really hard to get around. It leads to significant off-target effects in some cases,” explains Dr. O’Connell. Recent studies comparing gene targeting approaches reported that RNAi was associated with significantly more off-target effects than CRISPR-Cas13. 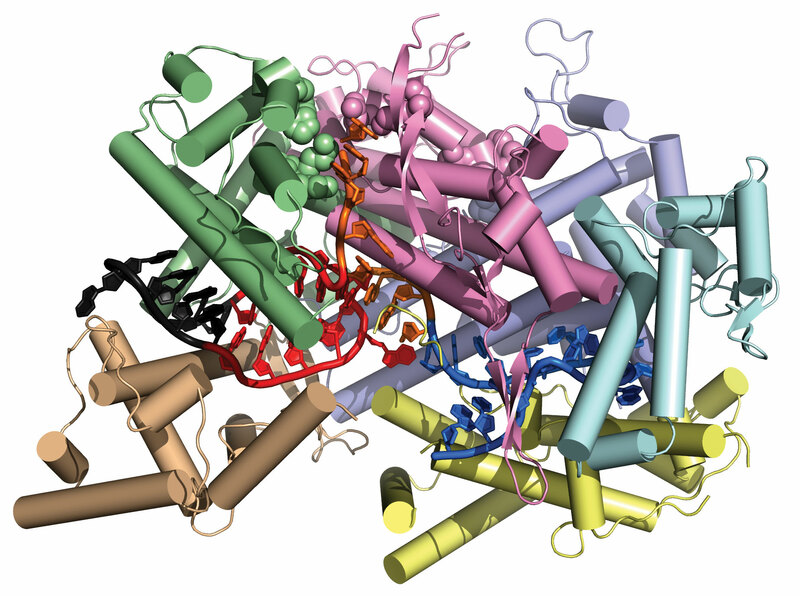 “It appears that Cas13 is more specific than RNAi and may become the tool of choice to knockdown RNA levels to modulate protein expression,” observes Dr. O’Connell. A critical facet of CRISPR-Cas systems is the need to design guide RNAs (gRNAs) and target sites with high on-target efficiency and low potential for off-target hits. “We would like to see the RNA targeting field use similar approaches as the DNA gene editing field, including online algorithms and resources, and making these tools available for the scientific community,” says Dr. O’Connell.